(a) Democracy (δημοκρατία, “rule of the people”, from δῆμος = people, and κράτος = power) is a synonym to the Modern Greek term λαοκρατία (“people in power”), and an antonym to ἀριστοκρατία (aristocracy, “rule of some elite”), and ὀλιγαρχία (oligarchy, from ὀλίγοι = few, and ἄρχω = to rule). Which one represents our so-called… “representative” system even a little child can say! Parthenon: the symbol of Athenian democracy. ● But if Socrates was sentenced to death, why should Kolokotronis fare better? First of all let’s make clear that Socrates was tried by democracy, while Kolokotronis by oligarchy. The people’s sense of justice was for Kolokotronis, but against Socrates. Why? Let’s examine the trial of Socrates, which took place in 399 BCE, after the defeat of the Athenian democracy by the Spartan oligarchy in the Peloponnesian War. It was a political trial in disguise because of the amnesty given to the oligarchs after the overthrow of the Thirty Tyrants, who were puppets of the Spartans. That’s why the charges against him were: asebeia (impiety) to gods, and corruption of the youth of the polis of Athens. 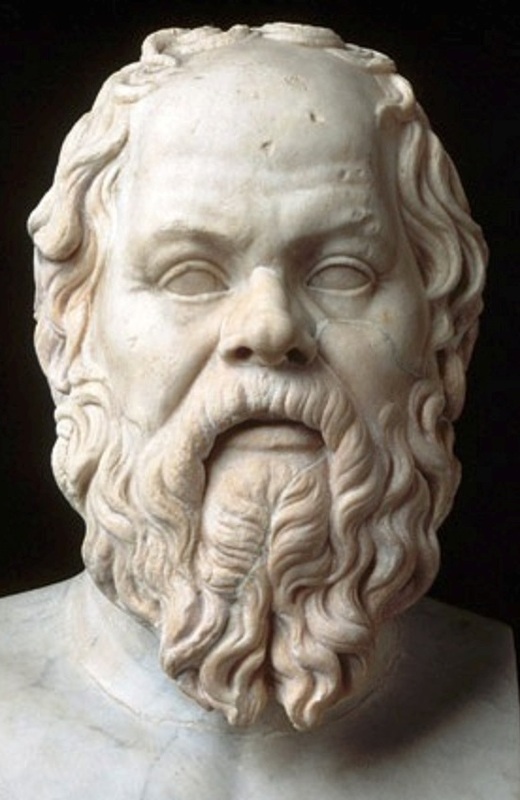 Note that what we know about Socrates’ trial and verdict are mainly derived from the Apology of Socrates, by Plato, and the Apology of Socrates to the Jury, by Xenophon – both students of Socrates, hence anything but impartial sources. In Socrates’ face, democracy prosecuted its demons: specifically two other of his dear friends and students, Alcibiades and Critias. (b) Alcibiades was the main proponent of the totally disastrous Sicilian Expedition (415-413 BCE) during the Peloponnesian War, where almost all Athenians participating, more than 50,000 men, were killed or captured and enslaved. After being summoned to trial, Alcibiades defected to Sparta, then to Persia, returning with false promises to Athens, where he was driven out after another defeat by the Spartans, who eventually assassinated him in Phrygia in 404 BCE. (b) The close relationship between Socrates and Alcibiades is clearly reflected in paintings such as: Socrates Tears Alcibiades from the Embrace of Sensual Pleasure, by Jean-Baptiste Regnault (1791). Other painters (Jean Léon Gérôme, Francesco Hayez, etc.) 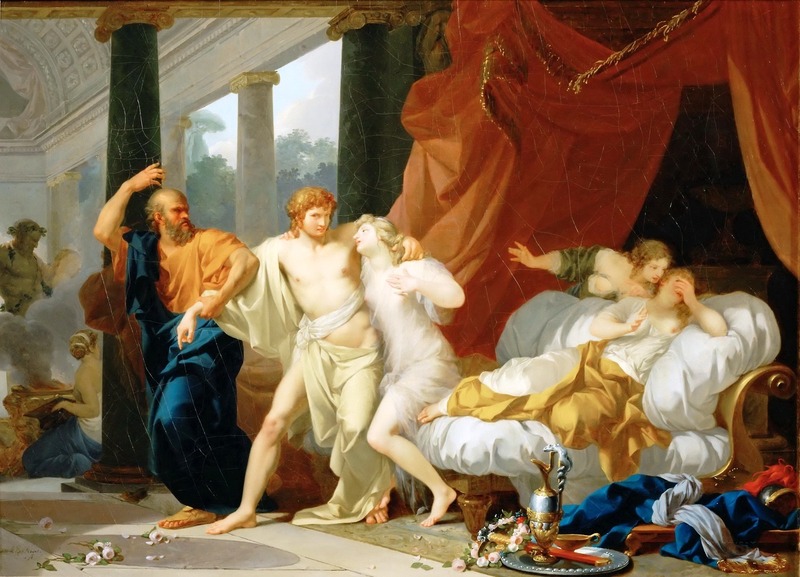 show Socrates Seeking Alcibiades in the House of Aspasia… Discovering Him in Women’s Quarters… in a Hetaera’s House… in a Brothel… and Reprimanding Him. The two of them are also depicted in The School of Athens, by Raphael, in company with Aeschines and Antisthenes (or Xenophon). Critias, who appears in Socratic dialogues by Plato, one in his name, was the blood-thirsty leader of the Thirty Tyrants, who were installed by the Spartan occupation army as an oligarchic regime in 404 BCE, after Athens’ defeat in the war. Not only Critias, but also several other tyrants were students of Socrates, as well. They were in power for only eight months, but in this short period, they managed to kill 5% of the Athenians, exile many others, and seize the property of the dead and exiled. Many wealthy citizens were executed or murdered by the oligarchs just to confiscate their property and share it among themselves, giving a portion to their followers. It was a terror regime, led by Critias, who became notorious for his cruelty and inhumanity, as he was determined to put an end to democracy regardless of human cost. The uprising that overthrew the tyrants in 403 was organized by a group of exiles led by Thrasybulus. Critias was killed in the initial engagements. Xenophon may have played an important part in this regime, as one of the two commanders of the cavalry, which were the Thirty’s militia. Many prominent Athenians, who were opposed to the regime of terror, left the city. Socrates, however, chose to remain and his attitude was interpreted as acceptance of the tyrants – indirectly but clearly. The philosopher espoused anti-democratic ideas, such as the view that it’s not majority opinion that yields correct policy but rather genuine knowledge and professional competence, which only a few experts possess. He often praised the laws of oligarchic Sparta. Plato reinforced these anti-democratic ideas in the Republic, advocating rule by an elite of enlightened “Philosopher Kings”. This might have also been Socrates’ idea of himself, going as far as claiming in his apology he had been a “god’s gift” to the Athenians… There’s a view that “Socrates’ real crime [was] preaching a philosophy that produced Alcibiades and Critias… but of course, under the amnesty, he couldn’t be prosecuted for that”. This is a rather favourable view about Socrates. Because there are some other views, as well, that the Republic of both, Socrates and Plato, may have been… implemented by the Thirty Tyrants, and that this “Philosopher King” was finally none other than Critias himself! would have never accepted what the creditors dictated. 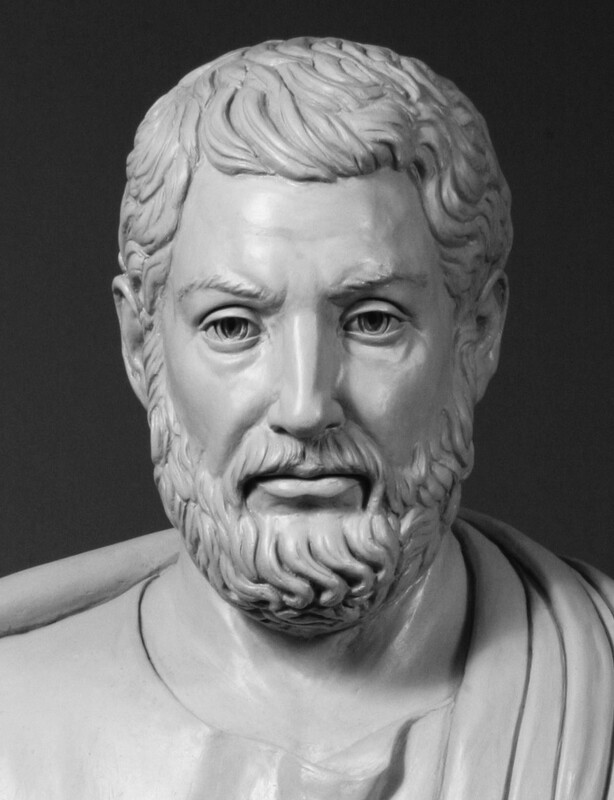 (c) The “father of Athenian democracy” was Cleisthenes, and its symbol was the Parthenon. A hill of Athens, the Pnyx, was the meeting place of the Ecclesia, with the speaker’s platform or bema. This is where the great political struggles of the “Golden Age” were fought; here, from this bema, the speeches of the great figures of the time were delivered – but also of many ordinary citizens, who raised their arms answering to the question: “Τίς ἀγορεύειν βούλεται;”, “Who wishes to speak? There were officials, of course, but for limited periods of time, alternating and revocable at any moment. Their powers were precisely defined and their capacity for initiative limited. They just administered rather than governed. They did not decide “for the people”, but simply acted on decisions already taken by the people’s Ecclesia. Before taking over, and after leaving office, the citizens were subject to scrutinies, reviewing their abilities beforehand (δοκιμασία = trial), and their performance afterwards (εὐθύναι = responsibilities). Ecclesia and Heliaea: the pillars of democracy. Without one, democracy is lame; losing both, it’s dead. (d) One of the privileges left to the Areopagites was to… enjoy the beauty of Phryne, the famous hetaera, stripped in front of them, when she was accused of impiety. The orator Hypereides, one of her lovers, defending her, used his best “argument” to save her from death: he removed her robe before the judges to “arouse their pity”! Her beauty (not his rhetoric) was so “convincing” that she was acquitted! 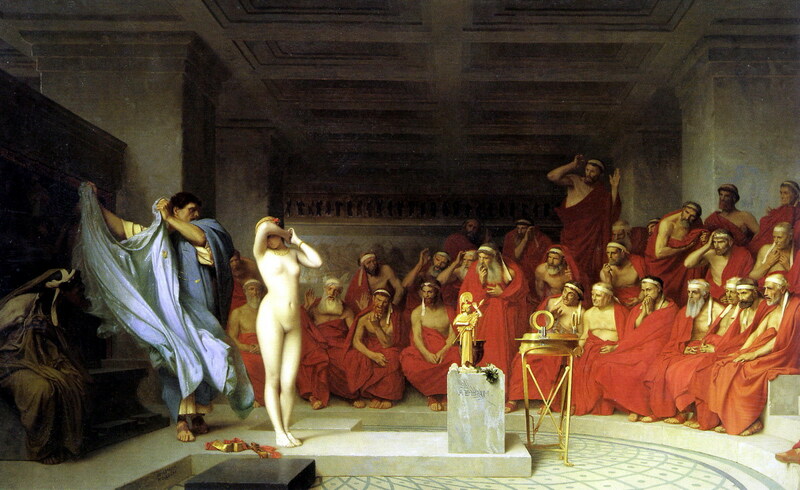 The episode inspired Jean Léon Gérôme in his painting Phryne before the Areopagus (1861). ● The Areopagus (from Areios Pagos, i.e. “Ares Rock”) is a rocky hill, NW of the Acropolis, where the court met. In the pre-democratic Athens, it was the elders’ council, similar to the Roman Senate. Its membership was then restricted mainly to former archons. There were three archons at a time: archon basileus (king ruler, a relic of monarchy), archon eponymous (chief magistrate) and polemarch (war ruler). Elected rather than chosen by lot (therefore coming from the higher classes) were the ten generals, the strategoi, due to their necessary expertise in matters of politics and war, and also those who were obliged to handle large sums of money: any money embezzled could be recovered from their estates. Elected officials, too, were subject to review before holding office and scrutiny after that. And they, too, could be removed from office at any time. Citizens held to be acting against the interests of the polis, the people, e.g. in cases of abuse of power or embezzlement, faced penalties that could be very severe, such as death, huge unplayable fines, confiscation of property, permanent exile and loss of citizens’ rights through atimia (disgrace), a form of disenfranchisement. 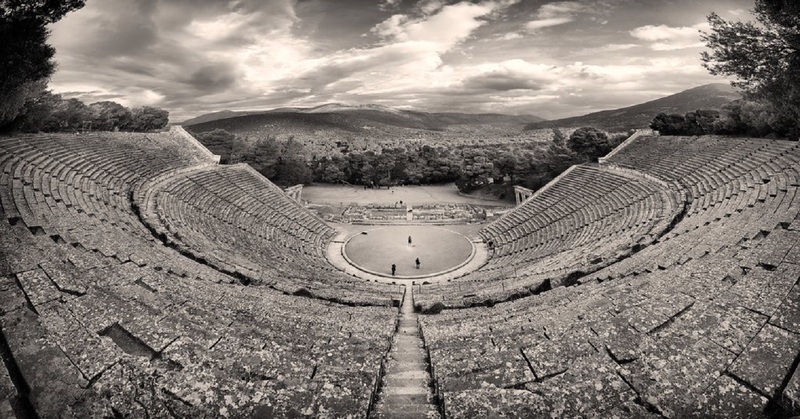 Epidauros theatre: the best… loudspeaker ever! All the above “forgot” that the victory against the Persians, the birth of drama, and even the great acme of Hellenic civilization, would have been unthinkable without democracy. However, despite all precautions, we now know there was no check on the dangers of demagogy: that was democracy’s Achilles’ heel. Two notorious Athenian demagogues (from δῆμος and the verb ἄγω = manipulate, thus “people’s manipulators”) during the Peloponnesian War were Alcibiades and Cleon. (But again, we mostly know about them from the Histories of the above mentioned writers). of Hellenic civilization, would be unthinkable without democracy. 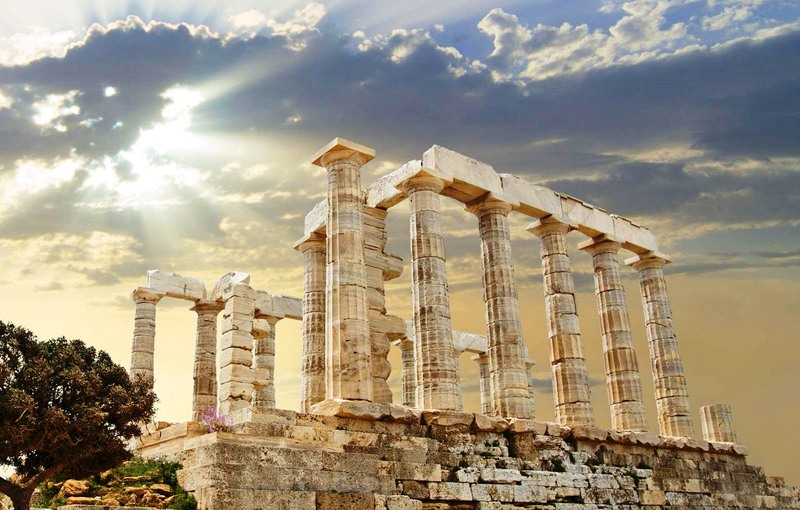 The ancient Greek polis died out together with Athenian democracy: it was the end of an era for this form of government that ceased to be a model, because no one really cared or was interested to counter the negative accounts of the ancient writers. The classical model that inspired revolutionaries and radicals in Europe and America was Rome, not Athens – although Res publica Romana was no democracy. Thus, the Founding Fathers of the USA in 1787 set up a Senate, not an Ecclesia, which eventually met on the Capitol… But the times changed and Athenian democracy was gradually appreciated for the high level of cultivation that her citizens enjoyed. Since the middle of the 20th century, every politician has declared to be a “democrat”, every country has claimed to be a “democracy”, regardless of the actual makeup of its government. 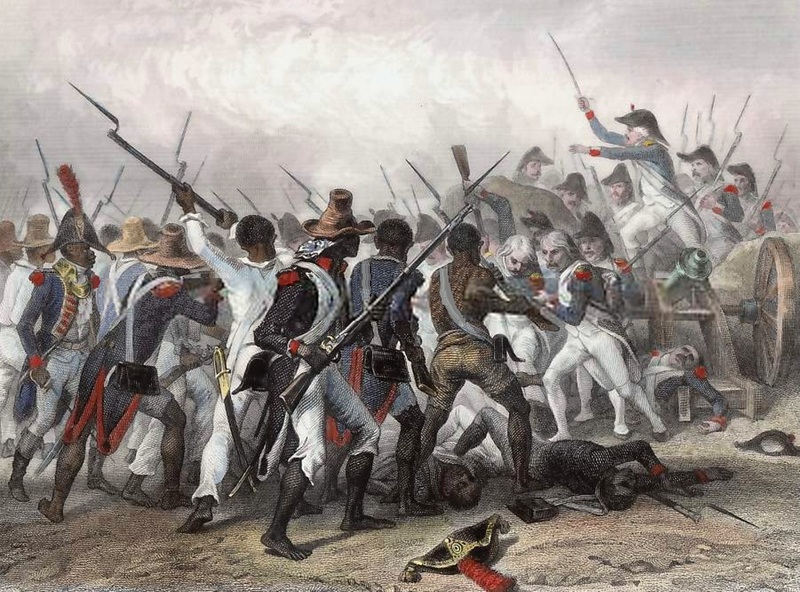 The last victorious Battle of Vertières (1803) in the Haitian Revolution. NEVERTHELESS, THERE STILL ARE MANY “SENSITIVE SOULS” who lament on the “impurity” of Athenian democracy because it excluded women, slaves and foreigners, exercising “imperialist” policies – as if patriarchy, slavery, racism and imperialism were all born out of democracy! Patriarchy is still going strong; the same applies to racism and imperialism. Slavery was abolished quite “recently”, though I’m afraid it’s also going strong under disguise… And where or when did you see slaves voting?(!) As for universal suffrage, Finland was the first nation in the world to give all adult citizens (men and women) the right to vote and run for office in 1906. Women in Greece voted for the first time in 1951. Mind you that the First French Republic after the French Revolution (1789) was the first nation that adopted universal male suffrage in 1792, excluding women – let alone the slaves. (e) What was their reward? The country where the only victorious slave revolution ever took place is now probably the poorest all around the world. The so-called “international community” never forgave them for their heroism and punished them severely because they raised their heads in their desire to live free. (f) Utopia: an imagined community or society with highly desirable or nearly perfect conditions for its citizens. Utopian ideals place emphasis on egalitarian principles, with the method of implementation varying according to the ideology of each proposal. The term utopia was coined by Thomas More for his book Utopia (1516), describing a fictional island society in the Atlantic. The word comes from the Hellenic οὐ (not) and τόπος (place) and means no place. Eutopia, from the Greek εὖ (good) and τόπος, meaning good place, is the correct term to describe a positive utopia. Utopia and eutopia in English are homophonous; so they became synonymous, as well. The opposite of eutopia is dystopia, from the Hellenic δυσ- (bad) and τόπος, i.e. cacotopia or anti-utopia.